I’ve been planning and photo-taking for this post for almost a month. But here I am, five days before Christmas, finally with the time to do the actual writing part. Maybe I should call this “Last-minute foodie gifts and stocking stuffers”. At any rate, it’s never too late for awesome foodie tips, right? This is by no means an exhaustive list. Victoria is blessed with a smorgasbord of excellent delis, fabulous food stores, hole-in-the-wall gourmet dens, and ‘aisles of awesomeness’ in ordinary grocery stores. To sum up: I had a lot of fun tootling around town, checking out bottles and packages and imagining myself the owner of all! 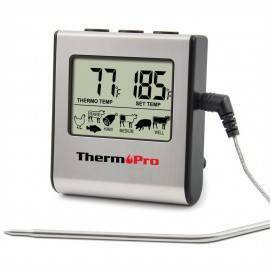 I’ve selected a few of my favourite finds (from this year or years past), items that make wonderful gifts for food-lovers or passionate cooks, items that you may not have noticed or seen before. 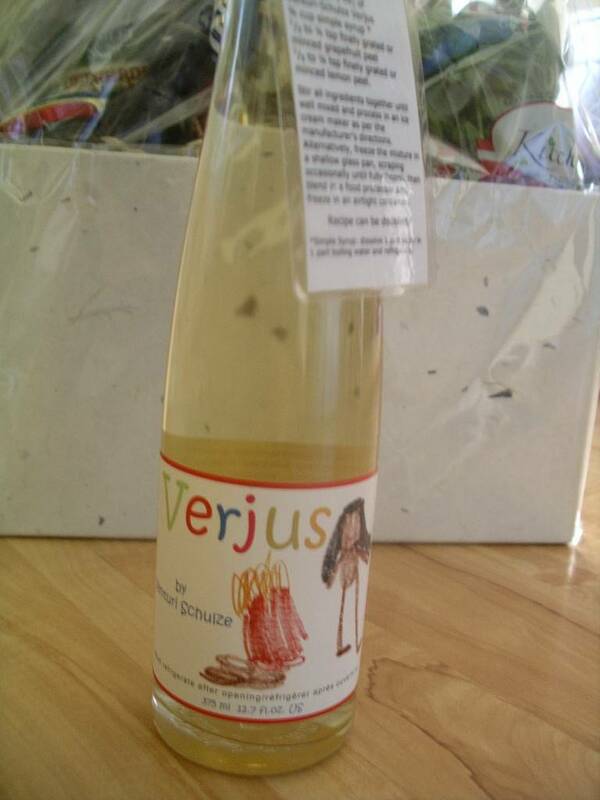 Verjus from Venturi-Schulze (Vancouver Island grown!). $18 at Ottavio’s. Verjus is the juice from unripened grapes, and has been used for centuries in grape-growing regions as an acidifying ingredient. It has a wonderful sweet-fruity-flowery flavour as well as the perfect amount of acidity. 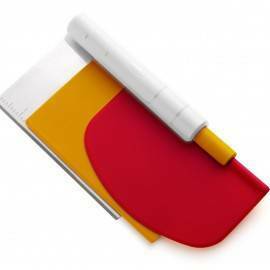 Use in salad dressings, marinades, stews, soups, reductions, etc. I first had the opportunity to try the Venturi-Schulze version at Defending our Backyard, where Chef Bill Jones had used it instead of vinger or wine in a marinade for grilled salmon. In a word: divine! Fruit Tree Project Quince Paste. $5 and up at Plenty. Seriously one of my favourite things. Quince is Mother Nature’s gift to us all. Quince paste is wine coloured, sweet and fragrant, tasting almost as if it has been cooked with a hint of lavendar. It can be eaten with both sweet and savoury things, but it is traditionally served with a cheese platter. I’m salivating right now, thinking about how much I’d love to eat a piece of creamy blue cheese with a slice of quince paste. So good! The best of all, Fruit Tree Project Quince Paste is made from locally-grown quince and the proceeds go to support the LifeCycles Fruit Tree Project. 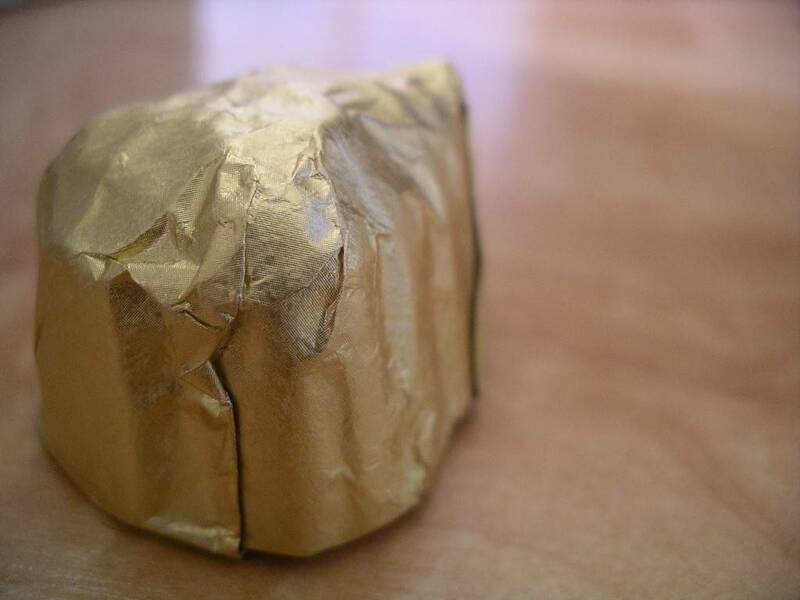 Caffarel Crema Gianduia. $14 at Ottavio’s. I haven’t tried this one yet, but Santa is definitely bringing this to our house this Christmas. 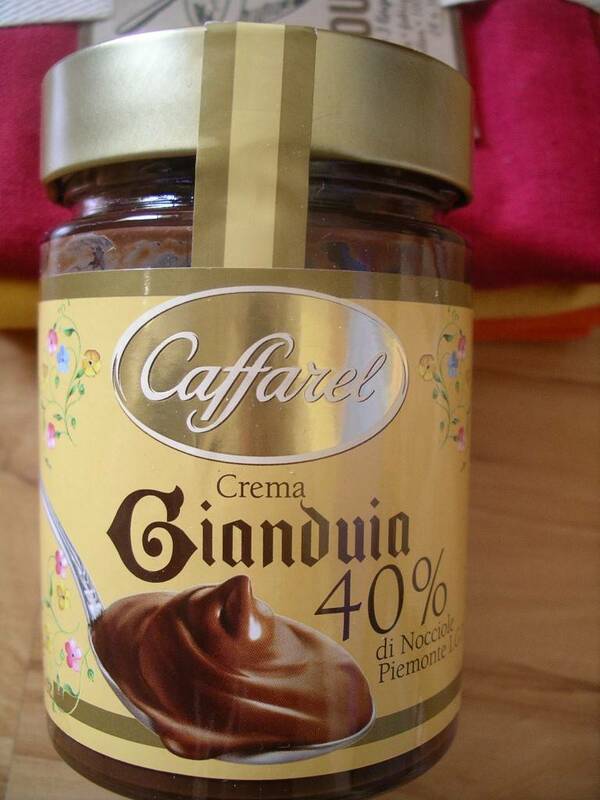 I’ve heard Caffarel Crema Gianduia described as the “best Nutella in the world” and that is good enough for me. Bring on the chocolate-hazelnut spread! Panforte di Siena (and Torrone). $3 and up at the Italian Bakery. I’ve been putting these in to the stockings of my loved ones for over 10 years and it’s still one of the favourite stocking stuffers. My father prefers the Torrone, since it reminds him so much of the German nougat he had as a child (this one is luscious with honey and pistachios). 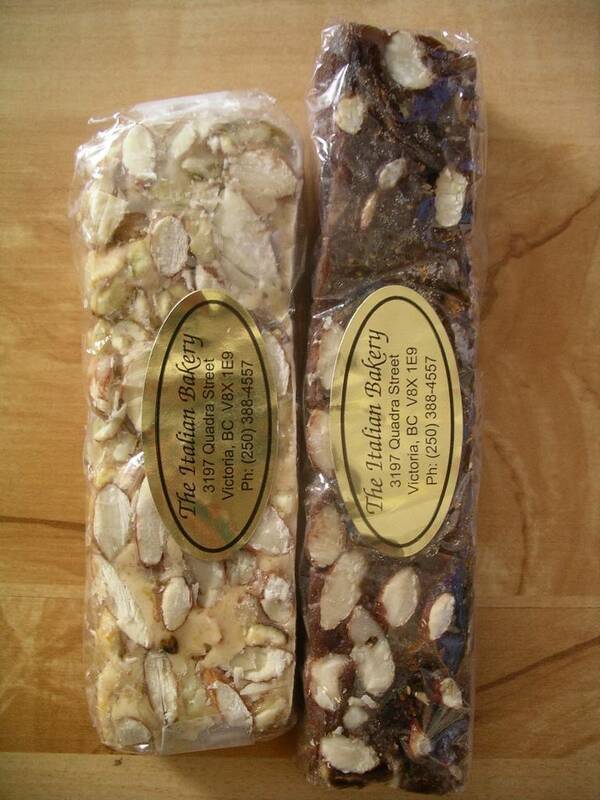 My husband loves the Panforte – cirtus, honey, and nuts, with a hint of cocoa – maybe because of his Italian heritage. They are both delicious and sophisticated treats for a food-lover’s stocking. 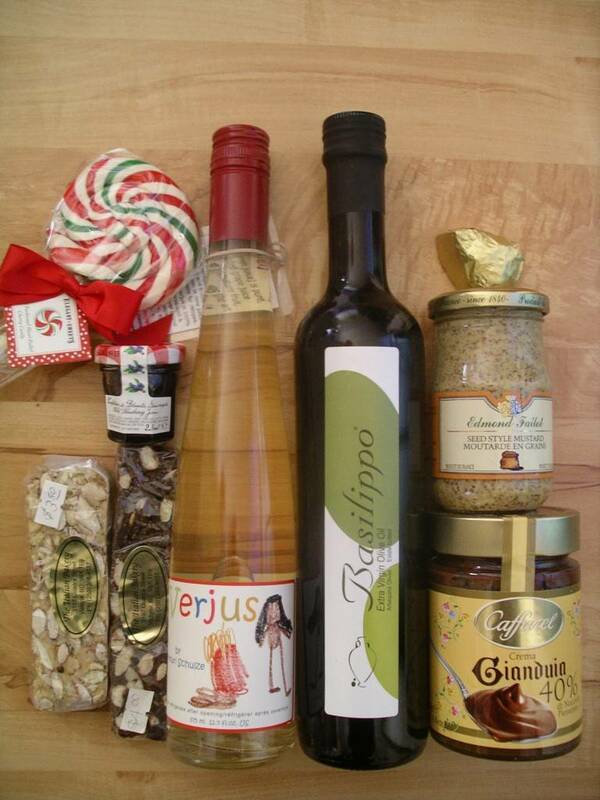 Basilippo Extra-Virgin Olive Oil. $30 at Ottavio’s. I absolutely love and adore this olive oil. I get some from Santa Claus every year. It is buttery, smooth, and very ripe-olivey. You can practically taste the full-fruit aroma when you open the bottle. 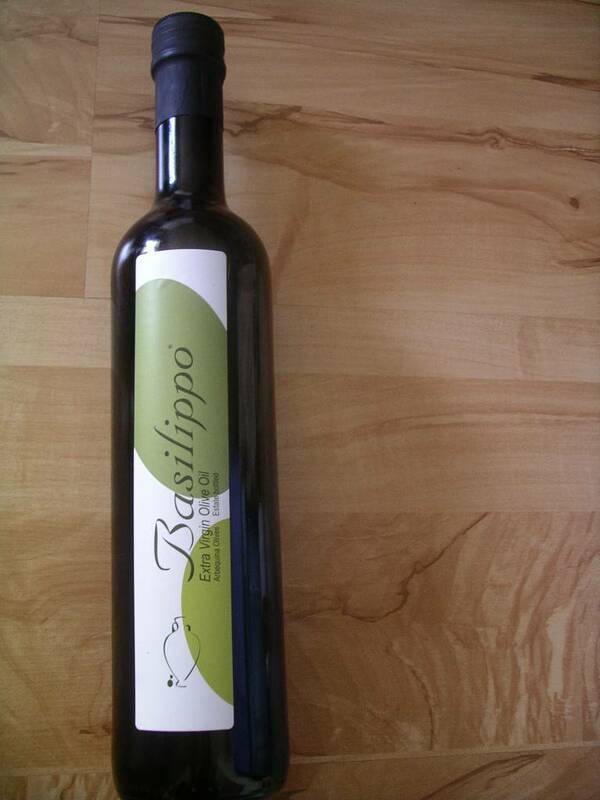 Basilippo is pressed only from arbequina olives, which always makes for a wonderful olive oil. I save this for salad-dressings and last-minute drizzling. Try a splash on a ripe tomato or over a bowl of fragrant bean soup. Mmm! mmm! 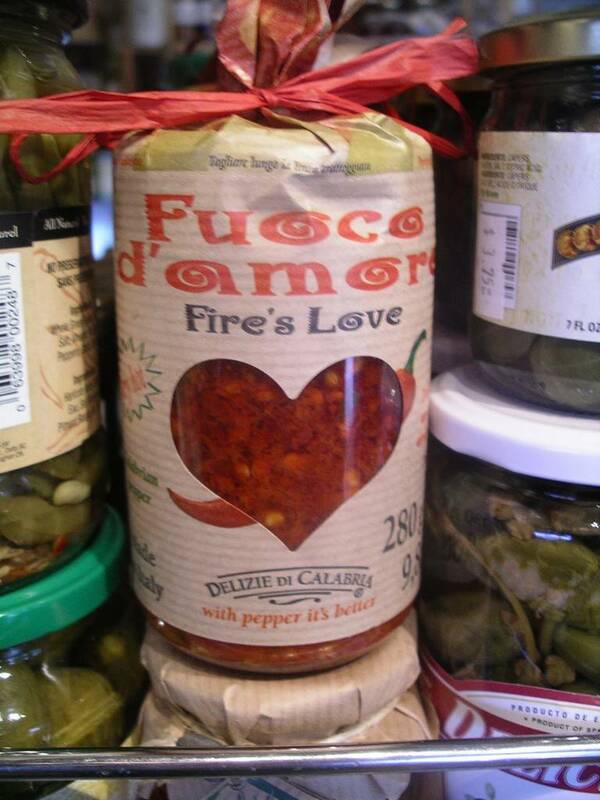 Fire’s Love. $6 at Choux Choux or Charelli’s. I’ve already waxed poetic about this stuff in a previous post. Rich roasted red chili paste. Get some, get some, get some! Candied Fennel Seeds. $4 at Blair Mart. 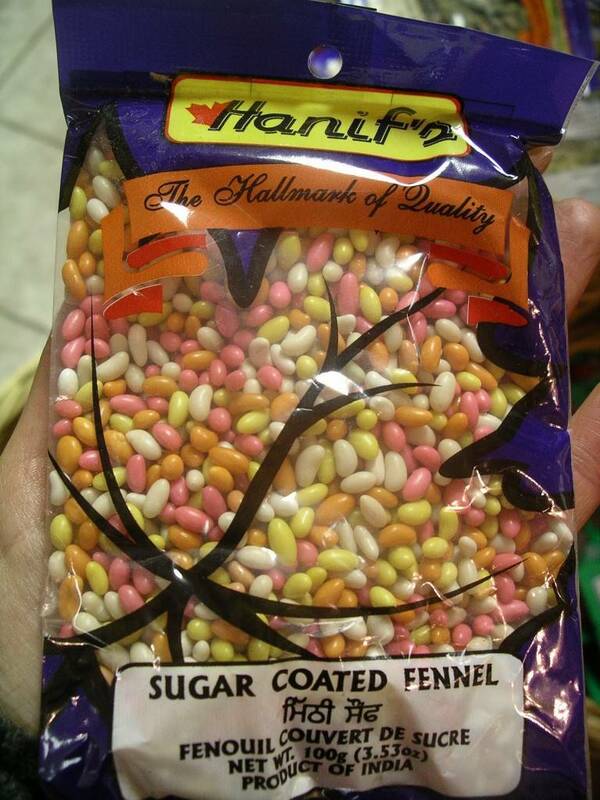 You’ve had these before, given to you at the end of a meal at an Indian restaurant. They are delicious: sweet, crunchy, mildly licoricey, and addictive (this coming from someone who doesn’t like licorice). My kids adore these – they are always trying to crack into my bin of cooking classes spices to get themselves a handful of candied fennel seeds. Santa might put a little baggy of them in their stockings this year. Handmade Giant Candy Canes. $3.80 at Plenty. For the little kid in all of us, or for our little kids. 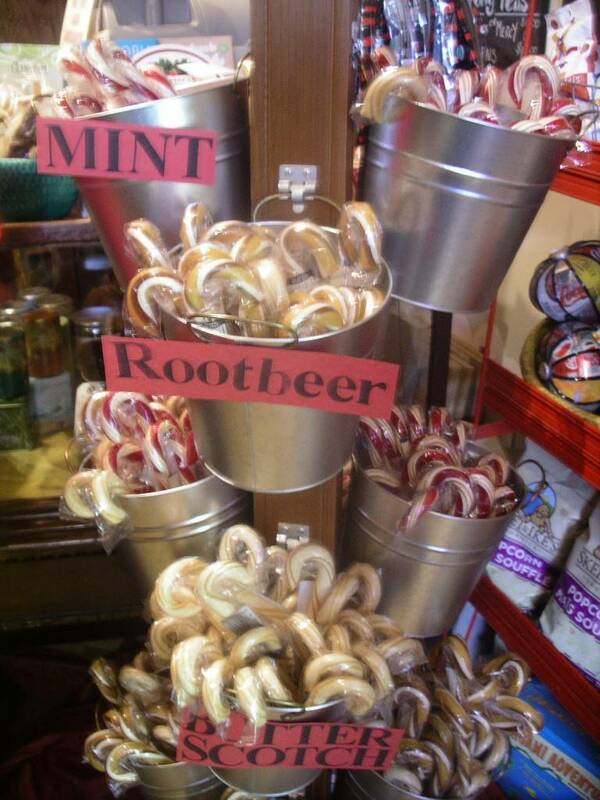 Mint, Cherry, Butterscotch, Rootbeer… Imagine one of these bad boys sticking out of the top of your stocking when you are 8 years old! Awesome, Santa! Flour Sack tea towels. $10 at Capital Iron. This is the only non-edible item on this list, and not because it’s the only kicthen-gear type thing that is great for a Christmas gift. But you can’t possibly know the joy of a great tea towel until you have used one. Really. 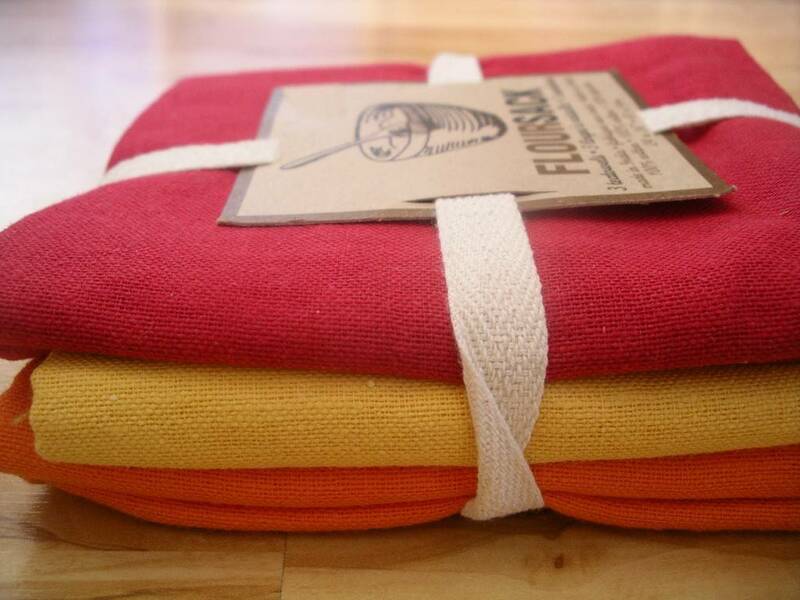 These are huge, light, and super absorbent, come in beautiful colours, and give a very eastern-farmhouse Martha Stewart-eque design feel to your kitchen. I know Santa will be bringing some for me and I am very very excited. 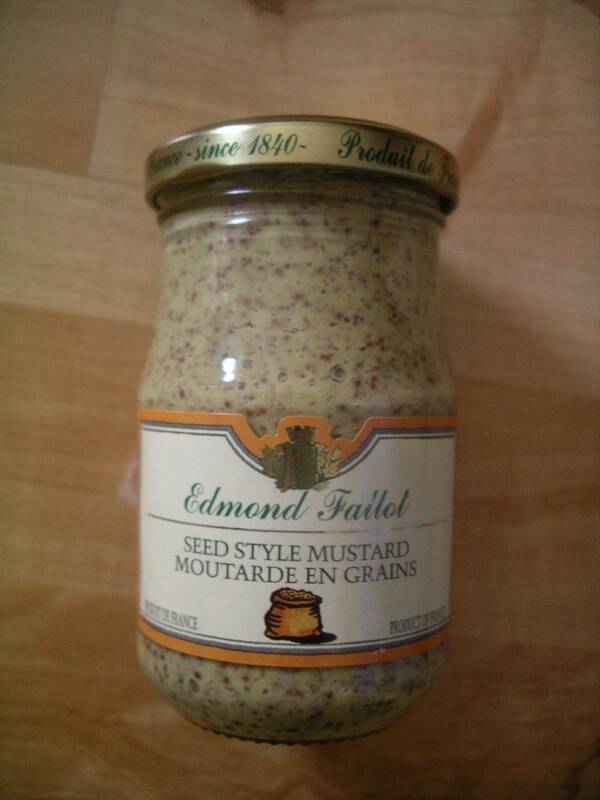 Edmond Failot Seedy Dijon. $3 at Market on Yates or Ottavios. My favourite mustard for sure. I don’t know how something so cheap can be so delicious, but there you have it. A great stocking stuffer for sausage-loving grampas, or any mustard-lover out there. Deman Island Dark Chocolate Christmas Tree with brazil nut. $3 at any health food store. There are actually a ton of yummy goodies to be found at health food stores: artisan licorice; fair-trade chocolate; organic maple syrup candies; beautiful packages of goji berries, dried mangoes, or non-GMO candies; Green and Black’s organic chocolate bars; Denman Island chocolate santas and christmas trees; more more more. We like the Denman Island christmas trees because they are wrapped in festive gold foil, and because they have a brazil nut inside and we loves nuts with chocolate. 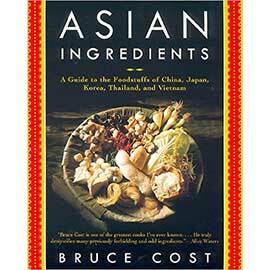 Categories: Cooking in Season, Extreme Foodie, Feature Food Purveyor, Feature Ingredients, Foodgasm! Looks great Heidi, Would love to get all of these things. Have a great Xmas! Wow, great ideas! I think we might do local food theme gifts next year. I loved your article. One thing, all the links at the bottom of the page go to Ten Thousand Villages website. Hey, I clicked on the link for Plenty and it says the store has closed! 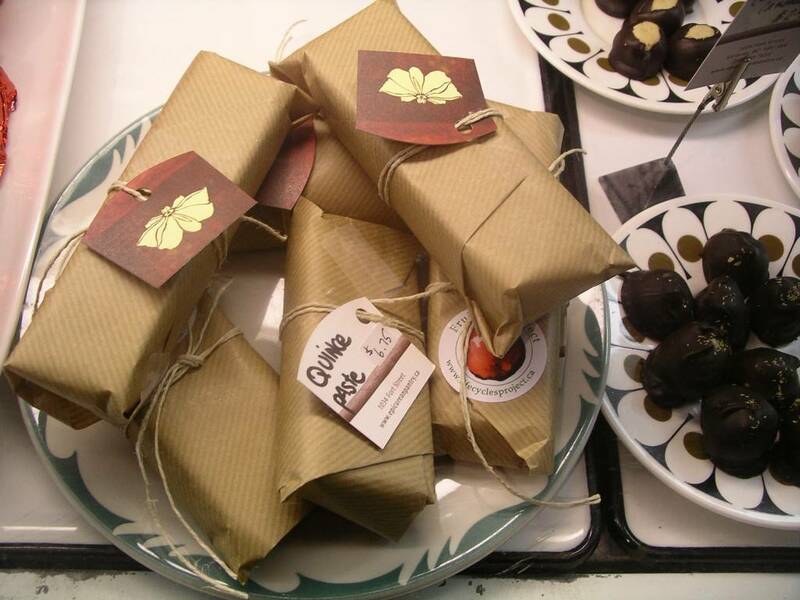 We’ve tried the Caffarel Crema Gianduia. It was a stocking hit! Was so happy to see you love the Basilippo Olive Oil. Was in Seville over the new year (2013) and toured the Basilippo farm where they showed us the whole process of making olive oil. Was an fantastic tour. I’m not sure if its available in Victoria, but you should look into the new Vanilla and/or Orange flavoured olive oil, those were equally amazing! I was gifted with one of your Christmas Trees filled with brazil nut. Excellent. Is it possible to order directly from your market? The treat I was gifted had Choices Market 7073 lable. I would be interested in ordering some.